Own it, walk tall, be confident and you can pull off any look you want. Your wig is like a designer suit. With a little tayloring, it can look great. 3. INVEST IN THE RIGHT PRODUCTS. To extend the life of your wig and keep it looking beautiful, the right products are essential. You should always have two wigs to wear at all times. This way you have one to wear when you are washing the other one, and as a back up should anything happen to one of them. Rotating wigs also helps extend their life. 5. IT DOESN'T HAVE TO SHINE. Sometimes synthetic wigs can look a little too shiny. Take it down a notch with a sprinkle of hair powder that you can brush through. Ask to see the Wig Wand at Wigs N' Things. Be Creative. Wear headbands and scarves. Add accessories such as clips and barrettes. People don't expect a wig to be accessorized. 7. BLEND IN YOUR OWN HAIR. Apply the wig and then pull small sections of your hair out along the sides and front. This will create a seamless and really natural looking hairline. 8. STAY CLOSE TO YOUR STYLE. A familiar style will help you feel more confident and make the transition from wearing your own hair to wearing wigs a good experience. Give your wig a salon finished look. Use our shaping mousse and hair spray to really define the layers and complete your look. 10. COLOR IS YOUR FRIEND! Try different colors in the same style. If you've always wanted blonde hair, now is the time! Many people go lighter in the summer and darker in the winter. Wigs' N Things sells stylish wigs that look so natural, nobody will know but you. Owner Debbie Carter explain why clients of all ages appreciate her team's personalized approach. It could be your mother, daughter, sister, or friend. For Debbie Carter, owner of Wigs' N Things Boutique, it was her mother-in-law who first received a medical diagnosis that led to the loss of her hair. This fantastic headband will keep your wig and scarfs from moving. You will have a perfect, secure fit! This headband replaces bobbie pins and tape. Come check out our current sale! $30 to $100 dollars off of in-stock wigs! Now through the end of April. The 1-800 number listed on our webpage is no longer in service! To contact us here at Wigs N' Things, please call (330) 864-5251. Having a proper fit with your wig will prevent shifting! When you are ready to start wearing a wig it is important to visit a wig expert who can check your wigs fit so that you can feel perfectly comfortable and confident. We make sure you leave our boutique with a wig that is properly fitted, centered, and secure! Amp up your look with our new Human Hair extensions and volumizers! Amp up your look with plunging length, glamorous volume and eye-catching color using our new human hair extensions and volumizer! They are available in a range of lengths and lustrous natural colors even the popular Ombre style colors! The extensions attach in a snap with discreet, pressure sensitive clips. Our collection of one-piece clip-in volumizers features a superb variety of color and length options that adds luscious thickness to transform your tresses. Here at Wigs' N Things, we are always being asked how often you should wash your wig. There isn't an exact answer for this question. It all depends on the individual person and how often you wear your wig. When wearing it on a daily basis, we recommend that you wash it once every week to week and a half. If you're only wearing it occasionally, you can hold off and wash it after seven to ten wears. Which is the right choice for you? Maybe both. Human and Synthetic Hair both have their advantages and limitations, which make them the right choice at different times. Both options are great choices for you depending on your budget, time, and needs. Why not have both types of wigs on hand for that perfect time! Here are a few facts about Human Hair and Synthetic Hair to help you make this sometimes difficult decision a little easier. Wigs N' Things offers an unbelievable selection of the latest in women's hair extensions and other hair "fillers" for thinning hair, as well as monofilament and human hair wigs. We have the lowest prices, highest quality lace front and monofilament part wigs for the option of "off the face" styling. Our human hair wigs are of superior quality for styling and a high level of comfort. Human hair wigs now come with a monofilament top and a lace front. This will make the wig lightweight and very natural looking at the hair line. Our human hair wigs have the highest grade of human hair available. They have true-to-life shape and long lasting comfort. They can be straightened, curled, cut, colored, highlighted, parted, and braided or put in a pony tail for the exact look you want. Not only does Wigs 'N Things provide our customers with the largest wig, hair extension, and hairpiece inventory in the area, but we do so at the lowest prices! Where else can you go and get the best quality wigs at the most reasonable prices? Here at Wigs 'N Things, we update our inventory to keep up with the lastest trends and styles. You can come in to get a new look and leave looking hip and trendy! Add a blunt edge or thicken your hairline instantly with our clip-in human hair bangs! The longer side fringe blends seamlessly with your own hair. Want the cute, sassy look that you can get from bangs without having to cut your hair? We have a great line of clip-in, heat resistant bangs that you should check out! They're easy to use, very budget friendly, and best of all, NO COMMITMENT necessary! If you are in search of gift ideas for your loved ones, dont forget about Wigs' N Things Boutique. We sell giftcards and beautiful gift baskets full of goodies that will make that special someone feel extra special not only during the holiday season, but every day of the year! So what are you waiting for? Come into Wigs' N Things and get your shopping done today! Our new hair toppers are made to add into your hair to make it look fuller. No more using powder! These toppers will hide all the thinning spots. No more thinning hair! These hair pieces are so light that you will forget that you have it on. Monofilament wigs have a no-slip top with silicone strips to keep the wig in place. No more glue or tape needed! On a monofilament wig, the mesh top means a lighter weight feel and an incredibly natural look. You'll swear the hair is growing right out of the scalp! Luminous, hand-blended colors ensure the look and highlights of natural hair. To reduce the daily maintance of your wig place it on a wig stand. This will keep your wig free from tangles and creasing. It will also maintan the style and shape of your wig. Misting your wig with a daily protecting leave-in spray once or twice thoughout the day will protect it from discoloration which can be caused from spending a lot of time out in the sun. We carry awesome lace front wigs that conform instantly to the shape of your head. It gives you a fit so secure you will feel that the wig was made just for you! Most people take their hair for granted until they are faced with losing it from chemotherapy treatments. A diagnosis of cancer is devastating to anyone and suffering through effects of chemotherapy is a difficult road to being well again. However, both men and women report hair loss as one of the side effects they dread the most after being diagnosed with cancer. A monofilament, hand-tied lace front wig is the ultimate cap. The meticulous process creates a light weight, smooth, airy feeling against the scalp. It also allows the individual hairs to swivel in any diretion creating the illusion of all-over follicular hair growth. The lace-front mimics a natural hair line and is hand-tied one by one. Call 330-864-5251 to make an appointment! With our increase in business, Wigs 'N Thing is now taking appointments to ensure that you get personal time with one of our wig experts and our highly rated customer service. Call 330-864-5251 to make your appointment today! We know this can be a difficult time and we respect our customers privacy. We offer privacy booths to help make this situation a little easier! There are may reasons why someone might need a wig. Chronic baby fine hair, Chemotherapy, radiation, Alopecia, Trichotillamania, scarring, rapid weight loss, trauma and stress. Q: Do you work by appointments at your boutique? The staff at Wigs 'N Things are Wig Experts who have been serving our community for over 40 years. Visit us today and enjoy our wonderfully rich variety of wig styles and beautifully highlighted colors! Synthetic hair wigs can be irreparably damaged if you try to curl or straighten the hair with heat tools. Consider Human Hair or Synthetic/Human Hair wigs for the ultimate styling versatility – you can curl or straighten them as you would your own hair. The exclusive blend has a melting point of 410 degrees and can withstand temperatures up to 350 degrees. For optimal results, use 270-280 degrees. Identifying the nature and extent of you hair loss is crucial to determining the type of product best suited for your needs.Top pieces can be a great solution for localized hair loss. If hair loss is more extensive or diffuse, wigs will be ideal. Wigs N' Thing is offering monthly classes for people going through chemo at Stewarts caring place. We will have our highly trained expert teach you about skin care during treatment. She will also show you how to apply an incredibly natural looking brow and lash line. Would you feel more comfortable having a one-on-one session with one of our makeup artists? Call and schedule a personal appointment with Melisa or Jen. We carry Human Hair wigs that look and feel so natural no one will know you are wearing a wig! The best part about the Human Hair is that you can style them with heat to achieve any look you desire day after day. How exciting is that? Call or Visit our boutique for more information! Wigs 'N Things wigs are so natural looking, so unlike the wigs of the past that women today wear them for convenience of instant stylish hair. Our wigs are available in a variety of colors and trendy hairstyles. The advanced construction and high quality materials are what make our wigs remarkably lightweight, cool, comfortable and so very natural looking. Wigs 'N Things wigs are easy to care for and hold their style and shape day after day. Women choose to wear wigs for many different reasons.Wigs can accentuate a hairstyle a woman already has or give her options for a completely new look. Women wear wigs to cover up the effects of an illness, give herself a new look, or maybe she doesnt feel like doing her hair in the morning. 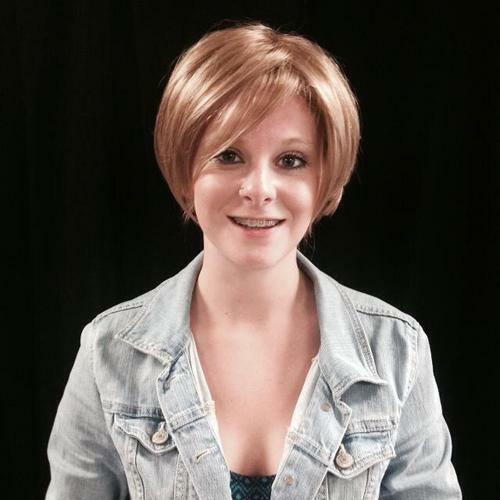 We carry an awesome line of childrens wigs! They come in a variety of sizes starting with ages 3 and up. The wigs can be personalized to each childs personality and style preference. Here at Wigs 'N Things, Beauty is effortless!! Come visit the wig experts and find out what its all about. New to Wigs 'N Things! We now carry large cap wigs! Our head sizes differ and we want to be able to accommodate everyone. Hair extensions are not just for creating long luxurious hair anymore. They can be used to thicken hair without adding length and can add highlights without the damage of coloring your hair. Majority of the people who get hair extensions have been unhappy with their thin, fine hair for a long time. With hair extensions you will have a brand new confidence that you never had before. We have first time customers come into the boutique with family or friends who say, "Now is your change to look like..", but in our years of experience in the wig industry those undergoing chemo therapy just want to be who they are. If you're anything like me, you would do anything to achieve those beautiful free flowing waves that every girl dreams about and now you can! Wigs 'N Things is welcoming a new wig to our collection. This wig shows off those free flowing waves in a boho chic below the shoulder cut and thats not even the best part. This wig features the monofilament cap that makes the hair look so natural that even you will think it is growing right out of your head. It truly is an awesome wig! NO tape or glue needed! Wigs' N Things now carries Front Lace Line wigs! This new collection of invisible (transparent) lace line wigs do not require any tape or glue. Lace line contours to your forehead, providing the most comfortable and natural looking wig cap ever made! Its a new year! What about a new you? Here at Wigs 'N Things, our wigs are so natural you won't even be able to tell you are wearing one!! A few of our new wigs shipped in from NEW YORK! We make sure our inventory keeps up with the constant changes and updates of the fashion world. We carry children's wigs! These wigs are light weight and easy to wear. They are very secure! They can be worn to play sports, play, attend school, or just around the house. These wigs can be worn in ponytails, pigtails, and parted in any direction. Our childrens wigs come in cute stylish hairstyles! For more information, Call us or come visit our boutique. Wigs' N Things is excited to introduce our new fall colored wigs! We have new wigs in Cinnamon Twist and Caramel Kiss. Halloween is right around the corner! 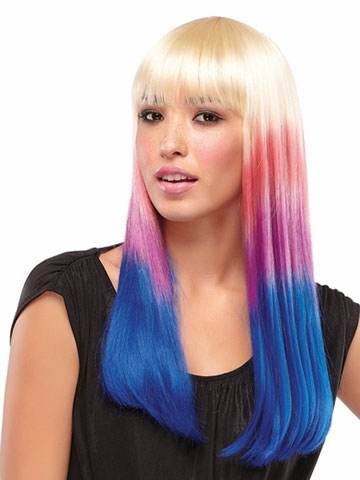 What a better way to celebrate the holiday and complete your costume look then a bright colored wig! Wigs' N Things has an assortment of bright colored costume wigs that are very popular around the halloween season. Great for dressing up any outfit. We just received a large shipment of scarves in fashionable designs and bright colors. Perfect for the Spring and Summer seasons! All of our scarves come with a sheet to teach you how to tie them in all kinds of different ways. With the warm weather we are having, I think it is safe to say summer time is here! Kids are finishing up school, pools will be opening, and vacations will be taken, which brings me to a question we are asked often here at Wigs 'N Things.. "Can I wear a wig to swim in?" 10% - 30% OFF SELECT HAIRPIECES! Don't miss our special on Human Hair this month! For the month of April, all Human Hair wigs in our boutique are $100 off! Mention this blog post or our facebook page to recieve this special offer. Do you have wigs that you no longer want and aren't sure what to do with them? Donate them to Stewart's Caring Place: Cancer Wellness Center. For donating, Wigs' N Things will present you with a coupon for $25 off your next purchase with proof of your donation. Tapered with flattering sideswept bangs, this chin length shag is sleek, modern, and versatile. The Smartlace front and hand tied monofilament cap creates a supremely natural movement. I HAVE to share one woman's experience here at Wigs 'N Things Boutique. Mention this blog at your next visit! $30 off all of our green tag wigs! For the month of January, Wigs 'N Things is running our New Year, New You special! There is no excuse not to come get a new look and feel your absolute best when we have chosen a large selection of our best quality wigs and lowered their prices just for you! The wigs that have been chosen for this awesome deal are priced anywhere from $30-$50 off. How could you resist? Wigs 'N Things hopes that each and every one of you had a very Merry Christmas and a wonderful New Year! We want to thank everyone who dropped off can goods to our boutique. They were all donated to Haven of Rest Ministries Akron,OH. Haven of Rest supports and serves the homeless in Northeast Ohio and we were very happy that we could help them out this year.